Where art meets flavour… and business! Are you looking for an opportunity to own a business overflowing with passion, taste, proven demand, and genuine customer delight? Gelarto Rosa is a fantastic new franchising opportunity. Our great brand, value proposition, and customer demand create revenue and profit potential for our passionate franchisees. We think the Gelarto Rosa customer experience is pretty good. So good, in fact, that we get regular franchising requests from satisfied customers from all over the world after visiting our Budapest boutiques. They love our ice-cream roses, customer service, and unique parlours so much, they want to open their own franchises where they live. In fact, we opened our first international franchise with one such satisfied customer – and now franchise partner – in Doha, Qatar in March 2017. We are looking for new Gelarto Rosa franchisees who love our ice-cream, design, and concept and who are prepared to invest in the day-to-day running of their Gelarto Rosa parlour. Get in touch – we’d love to talk with you. Gelarto Rosa began in 2005, when Niki Szökrön, our founder, opened the first boutique in Budapest. We started with 2 staff and 200 customers a day. Over the next decade, Niki’s drive and passion have built a successful business employing 25 staff and serving hundreds of thousands of customers a year. Gelarto Pop-Up popped up in June 2015; we opened Gelarto Bistro, our venture into deli cuisine and gourmet food, in December 2015. We launched our first international franchise in the iconic Pearl-Qatar development in Doha, Qatar, in March 2017, and are in discussions with interested franchise partners in other prime international markets. Our brand is about traditional ice-cream making, art, and customer delight. The concept behind the business is simply to serve the best quality artisanal ice-cream, using high-quality ingredients, with great customer service, in unique parlours. Art is as much a part of our business as flavour and service, as seen in our signature ice-cream roses and our artistically-designed parlours. We want to be seen as the best gelateria in each of our markets, and want to stay true to our brand values of Delight, Creativity, Quality, and Fun. Our customers certainly see us as the best gelateria in Budapest. We have nearly 1,700 Tripadvisor customer reviews (as at April 2017), and their amazing feedback has made us #16 of 2,741 ‘Places to Eat in Budapest’, and #3 for ‘Dessert in Budapest’. 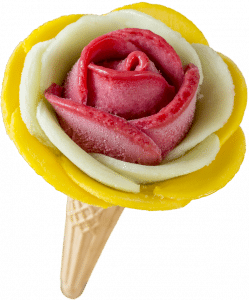 Our artistic rose ice-cream design sets us apart from competitors; we are sometimes copied, never matched! We use the best ingredients from Italy and locally (70% of our ingredients are local, and therefore very fresh) for brilliant flavours made to our secret recipes. Our gelato is also healthier than normal ice-cream. We have highly trained staff providing excellent customer service. And, of course, we have great customer demand – you must have seen the long queues in summer! – and feedback. Our competitors provide a more standardised product made with pre-produced ingredients, often containing too much fat and sugar, served in generic identikit parlours. We look for passionate self-starters and entrepreneurs willing to actively invest in and build a successful Gelarto Rosa franchise in their market. Franchisees do not necessarily need food or catering experience – they just need to be passionate about our brand and products. And, of course, have the money to invest! A Gelarto Rosa franchise is an exciting and rewarding opportunity for people who dream of becoming independent entrepreneurs – if you’ve got the passion, we’ve got the know-how and system. 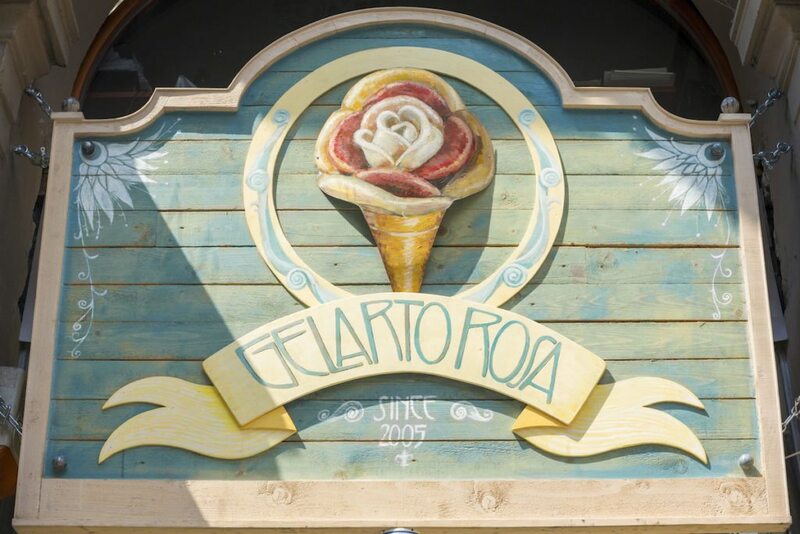 Run your own high-end Gelarto Rosa boutique and bring the finest quality Italian ice-cream, served with passion and a smile, to your market. If you are interested in finding out more about franchising with us, please contact Niki Szokron at GelartoRosaFranchise@gmail.com.